Horror T-shirts, Horror shirts & Posters! 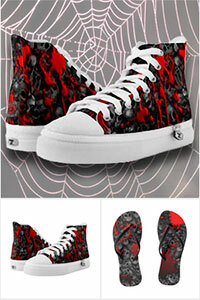 Accessories, Toys, house & kitchen gifts for the horror, Halloween & Heavy Metal fan. WELCOME TO THE MONSTER STORE! Find, shop, & buy original horror t-shirts, posters, accessories, house & kitchen gifts, cases, buttons, stickers, toys, skateboards and more! Where Horror, Heavy Metal and Halloween fans come to play! Here’s how it works: The tabs at the top of the page are each from a separate store where I sell my art on t-shirts, posters & whatnot. Each store has its own shopping cart. You can’t combine items from one store with items in another store’s cart. The Monster Store! Original horror t shirts, shirts, horror posters, accessories, phone cases, skateboards & official Heavy Metal t-shirts & horror gifts. Monster Store – Horror T-shirts, Horror shirts & Posters! The Monster Store! 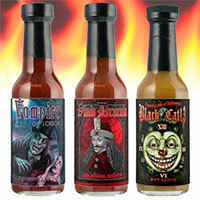 Horror, Heavy Metal, Halloween T shirts, posters and gifts! The Monster Store is a Trademark of Scott Jackson/ Monsterman Graphic. (c) copyright 2016 Scott Jackson. All rights reserved.